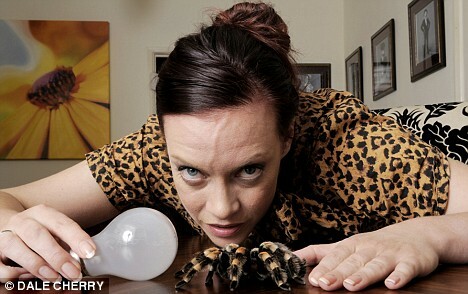 How I cured my fear of spiders but not of light bulbs ... with a little help from the Flumps! Phobias. They're infuriatingly irrational things. Clowns send a burly 6ft male friend of mine into a hyperventilating panic. One woman I know faints if she sees tomato ketchup. My last boss insisted staples were inserted at a precise 90-degree angle into paper to make them 'safe'. But what exactly are phobias - and why do we have them? A phobia is a fear of a situation or thing that is not inherently dangerous, and which most of us are not troubled by. According to the Royal College of Psychiatrists, one in ten of us will have some sort of phobia during our lifetime. Most sufferers never ask for treatment - although it is available on the NHS - usually out of sheer embarrassment as they know their fear is totally illogical. But left untreated, phobias can become worse, or even interlinked. For example, agoraphobics who fear open spaces usually also fear being left alone ( monophobia), being trapped (claustrophobia) and travelling away from their 'safe' place, which is usually their home. 'Fear is a normal human response,' says Nicky Lidbetter of charity Anxiety UK, which receives more than 16,000 calls each year from phobia sufferers. The fear may not be rational, but on encountering a phobia the body reacts with the same fight/flight mechanism triggered by situations of danger. The brain signals to the adrenal glands to release a massive surge of the stress hormone into the bloodstream, pushing up blood pressure and heart rate. This is useful if we're crossing the road and faced with an oncoming car - it means blood is diverted to the limbs and we are ready to spring into action and protect ourselves from danger. But if there is no accompanying physical activity, the surge of adrenalin can cause symptoms such as palpitations, heavy breathing, tensed muscles, sweating and a feeling of panic, leaving the sufferer frozen to the spot in horror. 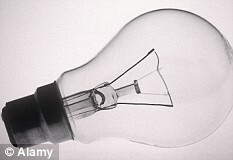 Now don't laugh - I get all this when faced with a light bulb. It all stems from when I was three. For fun, Dad once faked a cute 'comedy' fall as he got 'electrocuted' after changing a light bulb. Thirty-three years later I still can't touch them. If a light bulb goes out, it stays out. I buy new lamps rather than go through the breathtaking horror of changing a bulb. I bought my flat because it had dozens of ceiling lights - so it would be years before they all went out. I am also terrified of public speaking - an issue, given my work as a presenter on ITV's This Morning. Put me in front of a camera and I'm absolutely fine. But live audiences? Hell. An invitation to be made a Fellow of Blackburn College, Lancashire - where I studied - went unanswered because I'd need to 'give a five-minute speech to the students'. And then there are spiders. They send me screaming for cover. I've happily swum with sharks, and dallied with killer hippos on work assignments. But I will sleep in the living room if there's a spider dangling outside my bedroom window. With the NHS waiting list for treatment so long, I've decided to take matters into my own hands. I call the splendidly named Fear Master - Andy Duncan to his friends. An ex-physical training instructor with the Royal Marines, he has been involved with troops returning from Iraq and Afghanistan. It was in this role that Andy, 37, learned techniques for dealing with Post-Traumatic Stress Disorders (PTSD) and that he now uses to help others deal with overcoming their phobias - in an hour or less. During his hour-long sessions Andy uses 'talking therapies' including a method called Neurolinguistic Programming (NLP), which aims to help you control your thoughts, feelings and actions. NLP, a clinically accepted form of psychotherapy, attempts to 'reprogramme' your brain just as you'd reprogramme a computer. The method has its critics, who say there are no conclusive studies that prove it works, but Andy claims a 100 per cent success rate. I say I'll try it. This is not going to work. I don't even know why I'm trying. A tarantula is due at my home in half an hour. Andy wants to convince me that a really scary spider is my new best friend. I start with an NLP technique he calls the 'Fast Phobia Model'. He tells me to close my eyes and imagine a spider - in black and white, on a video screen. Then, slowly, we confront the fear with Andy talking me through what I should imagine. I'm a superhero flying towards the spider. I see the image fading. And - this is my favourite bit - I must hum the theme tune to my favourite programme as a child, which turns out to be The Flumps. 'Imagine Pootle, your favourite Flump, is with you,' he says. I laugh and tell him I am holding Pootle's Flumpy hand. It sounds crazy. But, the most bizarre thing is that I suddenly have a realisation that spiders are not scary any more. 'Many of us are terrified of spiders because we associate them with our mothers screaming at the sight of them. Phobias can be passed down. At this point the Mexican Red Knee tarantula (the same kind that tried to kill James Bond in the film Dr No) arrived. It looked just like the one I'd imagined and that I'd thought of as being like my favourite Flump, Pootle. I wasn't overwhelmed with a desire to cuddle it. But urged on by Andy, I held Pootle's hand in my mind and stretched out the other hand towards the spider. And let it climb on. There was a flutter of fear, but it felt OK. 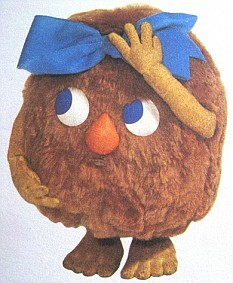 The spider waved its legs as I sang the theme tune to The Flumps. I started laughing and it all felt fine. It did not try to kill me. Verdict: Cured. I would not have believed it but I even disposed of the spider crawling at speed across my duvet two days later. Back on the couch, Andy tries out an NLP technique on me called Pattern Interrupt. Sufferers follow a pattern of behaviour when faced with their phobia. This aims to break it. My own pattern, when faced with a bulb, is to swear, feel sick, and be weak and useless. We re-enact this so Andy can see how I behave. Then he asks me to name my all-time TV superhero. I go for Captain Jack in Torchwood, played by John Barrowman. I am told to imagine seeing a light go out and Jack standing there beside me. The technique is designed to interrupt and confuse your normal pattern of thoughts - Captain Jack's unexpected appearance broke my usual strategy of dealing with light bulbs. Andy then asks me to go back in my mind to pinpoint the moment when the fear first took hold. I tell myself Dad was just being silly, and light bulbs aren't going to wipe out my entire family. Verdict: Almost there. 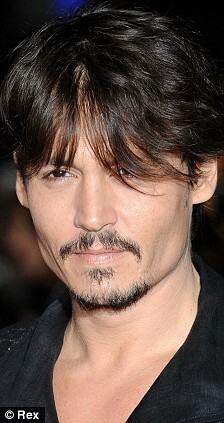 Spurred on by the mental image of Jack carrying out DIY in my flat, I think I can finally manage it. Two bulbs have blown in the kitchen. I probably could replace them, but will just wait for the sidelights to go out first. Back to The Flumps again for a humour/NLP/hypnotherapy combo to conquer public speaking. A day later I'm one of the celebrity contestants on the BBC programme Ready Steady Cook, about to film in front of a live audience. Usually, my legs tremble and my throat is dry with an unquenchable thirst. There was still the rush of nausea at the sight of the audience but - and this is an improvement - I could look at them all. The whole Flumps thing is so daft it diffused the usual fear. Verdict: Cured! I chatted with the audience. During one break I even confessed to a woman in the front row that I was imaging her as a Flump. 'Oh thanks,' she replied. I don't think she voted for me to win the show. Andy says the therapy lasts for life and I hope he's right. But Anxiety UK's Nicky says: 'There has not been enough evaluation on the longer-term effects of these therapies. I didn't give up. I took up the fellowship in Blackburn and gave an address to 2,000 students and lecturers. And it was all right. As I waited to take the stage I giggled thinking of The Flumps. I even told a joke - which got a good laugh. Pootle would be proud. â¢ DIY treatments: walking and running can help calm you down by using up surplus adrenalin. Diet, too, can help. Foods containing caffeine can heighten your anxieties. â¢ Counselling, psychotherapy and therapy treatments are available on the NHS, but may involve a long wait. Contact NHS Direct, <!-- m --><a class="postlink" href="http://www.nhsdirect.co.uk">http://www.nhsdirect.co.uk</a><!-- m -->. â¢ If you go private, the industry is unregulated so beware who you use. People can claim to be an NLP expert having merely completed a weekend's correspondence course. Anxiety UK offers a list of practitioners, by region, which it has vetted. <!-- m --><a class="postlink" href="http://www.anxietyuk.org.uk">http://www.anxietyuk.org.uk</a><!-- m -->. â¢ Medication, including antidepressants, tranquillisers and beta-blockers can be helpful in alleviating symptoms. However, it is recommended only for short-term use. Sufferers are advised to try talking therapies first. Your last post was about a year before this writing, but thanks for the article paste. I saved the citation. Quote: It all stems from when I was three. For fun, Dad once faked a cute 'comedy' fall as he got 'electrocuted' after changing a light bulb. Thirty-three years later I still can't touch them. If a light bulb goes out, it stays out. Friend: hey, those two lamps won't turn on; I think the bulbs are burnt out. Sharon: yeah I know, they are. Friend: oh. How come you haven't changed them yet? Friend: okay... I could do it. Where are your light bulbs? Sharon: I don't have any. I'm going to buy new lamps. I'm going to experiment with the tips suggested in the article some time.